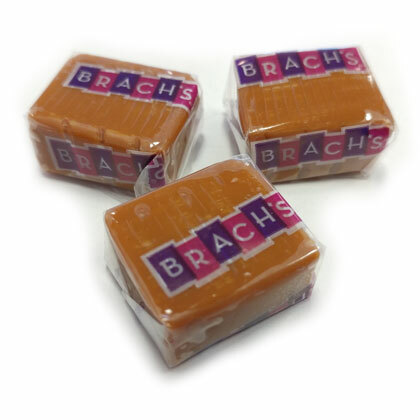 Brach's Milk Maid Caramels are made with real milk for a true rich and creamy caramel flavor and are a good source of calcium. These are great as a snack, and are also used in baking and making caramel apple treats. Approx. 1 inch. Individually wrapped. 10 oz. Approx. 32 per bag.